Okay, I’ve been telling MaryKate that I was going to do this post for a Whatever Wednesday since we bought the house. Obviously, that hasn’t happened. But better late never, and I’m currently trying to ignore the blizzard raging outside while writing this post and dreaming of spring. Depending on your cocktail of allergies (corn, I’m looking at you), growing some of your own food may become something that you want or need to try, based on your local food resources, your sensitivities, and the failures of the food industry to properly label ALL food ingredients. I won’t get into my diatribes about the food industry and regulatory concerns as they are unlikely to be addressed in the near future. Instead, let’s get to playing in the dirt, and planning to play in the dirt. Here’s the original post about us deciding to buy the house – WW: Living with Food Allergies & Making Unexpected and/or Unwanted Lifestyle Changes. 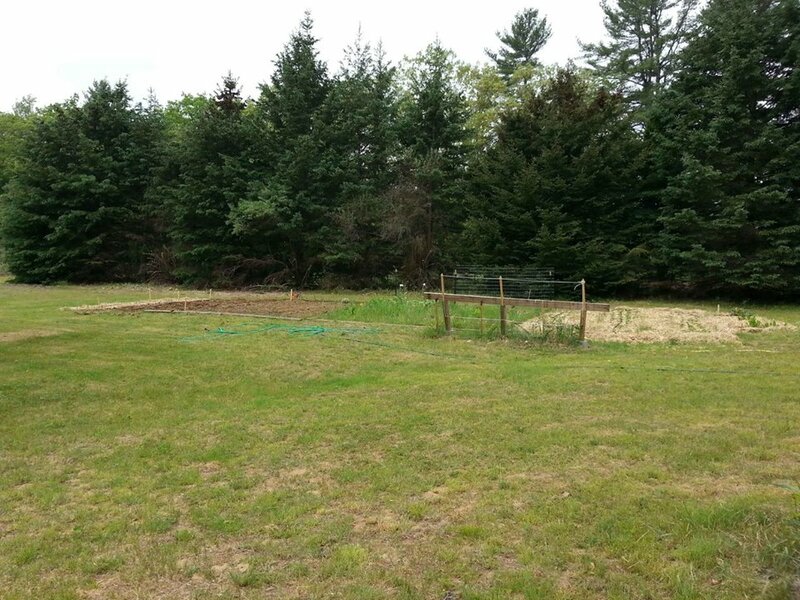 To summarize, due to the amount of food preservation I needed to do, the costs of purchasing vegetables, having to make my own personal care products, and our storage needs, we needed to buy a house so I had room to do all that and garden. We were lucky enough to be able to buy a house that has three acres of land, an established set of fruit trees (18 apple, 4 pear, 1 cherry), grapevines, blueberry bushes, and Nankin cherry bushes, as well as an established garden plot. Since we bought the house, we’ve expanded the garden plot from its original foot print, added a side garden with a perennial herb garden and a perennial garlic bed, established an asparagus bed, planted 150 strawberry plants, planted a bed of perennial Egyptian walking onions, added two more grapevines, and installed some drip irrigation. This year, I’ll be adding another 100 asparagus plants, another 150 strawberry plants, 5 raspberry bushes, and 5 blackberry bushes. 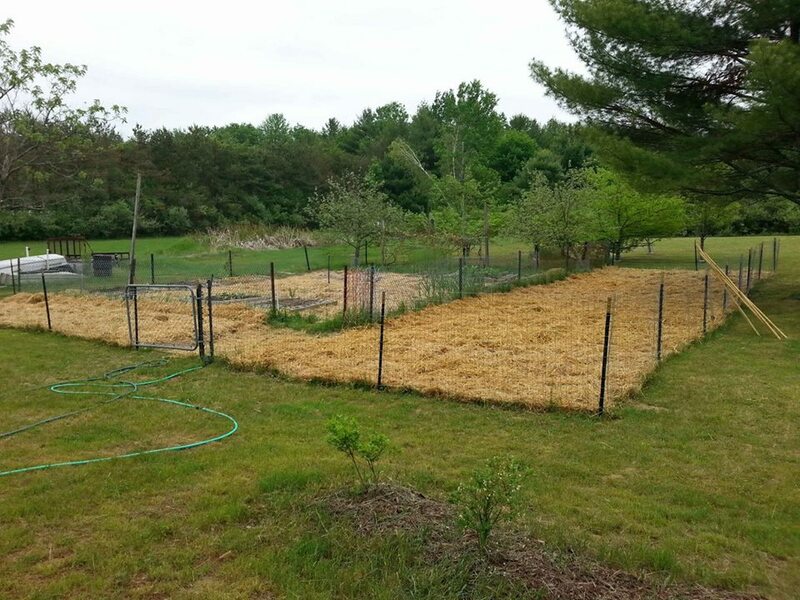 I’d like to add more blueberry bushes and a couple of fruit trees, but it depends on the budget – it may have to wait until next year. If you’re thinking about starting a garden, your local cooperative extension may have great information for you. New Hampshire has great resources, and I’ve gone to a couple of their classes to learn how to prune my fruit trees, blueberry bushes and grapevines, and to learn about Integrative Pest Management. Your local cooperative extension may also have fact sheets and online resources that are helpful. Unless you are container gardening, you should probably get your soil tested, so you know how to help your soil for particular crops. New Hampshire provides that service for a small fee, and your local cooperative extension may too. They give you recommendations for what to add to your soil for your particular crop. They also have fact sheets about growing various fruit and vegetable crops. Once you’ve decided what you want to grow, and roughly how much of it, you need to decide when to plant and when to start seedlings. 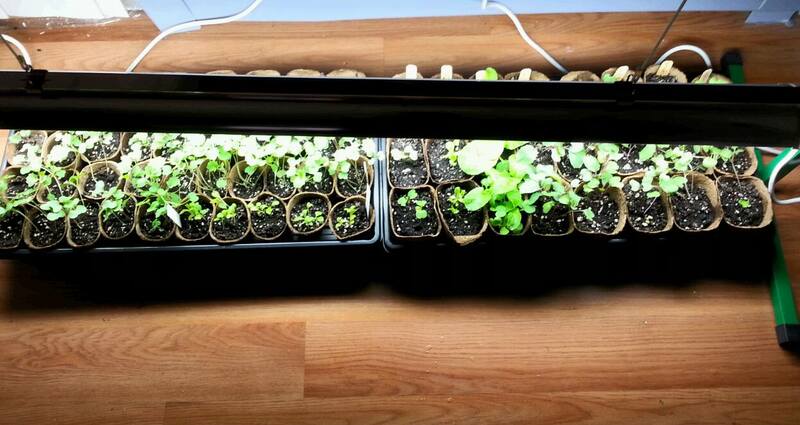 As New Hampshire has a short growing season, many vegetable plants must be started inside in order to get a harvest. You need to determine what zone you are in to determine when to start your seedlings and when to plant outside. I am in zone 5b. Once you know your zone, you can check out the Old Farmer’s Almanac Frost Calculator to determine your last spring frost. Although the last spring frost is listed as May 20th with a 50% probability, I use May 31st. And because I’m me, I plug that information into a spreadsheet and using cultivation information on the seed packet or the website where I got my seeds, and make a plan. I’m in the process of revamping my spreadsheet for this year, as I plan to consolidate some of my raised beds and I still have to plan where some of my plants are going. Since that’s not done, I’ll provide you with a copy of last year’s sheet here. You’ll note that there are lots of pages to the spreadsheet. The first sheet is the Planting Schedule. The first column heading “Plant” is the name of the vegetable, fruit, herb or flower that I’m planting. The second column heading “When to Start Inside” has two sub columns, the “Earliest Date” and the “Latest Date”. Starting too early can be just as bad as starting too late, as plants may get spindly and root bound. The third column “Safe time to set out plants relative to frost free date” based on the information on the seed packet. This information is then translated to the actual dates for my growing area based on the frost free date, as contained in column 4 “Setting out dates”. Column 5, “Actual Planting Date” is the date I started my seeds. I tend to keep records to try to see what worked and what didn’t each year, which I might also note in the Column 9, “Notes”. Column 6 contains the number of seedlings planted, which we’ll discuss further later. 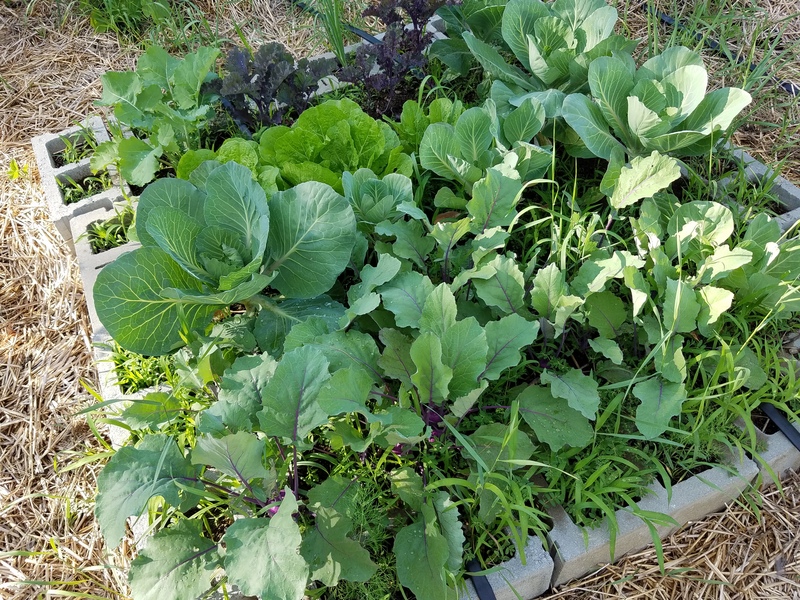 I use a modified version of the square foot gardening method, and in Column 7, I’ve added the number of plants per square foot to help me plan the beds. Column 8 is the date I actually set out or transplanted the plants in my garden. As you go down the list of plants, you’ll also see that there’s some that say direct seed. That means I am not transplanting, but sowing directly into the soil, on the earliest date in Column 4, “Setting out dates”. All of the dates are based on the frost date for my area, and the information on the seed packet. You would need to change this information based on the frost free date for your zone. The second sheet, titled “Bed Plan Numbers” is a place for me to calculate the total number of seedlings for each thing I’m growing so I know how many seedlings to plant. This is the place that I aggregate the number of plants, once I’ve completed the plans for the garden and the raised beds. The next three sheets contain the plans for each garden (one square is a foot) area showing the larger plants that spread, and place holders for the raised beds. The following eleven sheets contain the plan for each raised bed. For example, if you look at the main garden plot plan, a blue hubbard squash plant requires a 3 foot by 3 foot area (9 square feet) and I have a big blue square denoting that in the upper left corner. In fact, the plan shows that I would plant 6 plants, although these are planted directly in the garden and are not started inside. If you looked at the following eleven raised bed plans, each contains a map of what I intend to plant in that bed that year. So if you looked at the first line of the Bed Plan Numbers sheet for Basil, Aroma variety, it shows that I intend to plant 10 in Bed 1, 5 each in Bed 6 and 7, and 10 in Bed 10, which means I need to start 30 plants inside as seedlings. I might add a few extra to account for seedlings that don’t make it, or don’t germinate, or to account for the damned voles that keep eating my seedlings. But this is basically how I get a place to start. I then enter the total number into Column 6, # of seedlings planted, of the Planting Schedule so I know how many I planted. Each year I have to revamp the plans, because I rotate my crops. You don’t want to plant the same plants or family of plants in the same area each year because it can allow encourage plant diseases and pests. In addition, I use companion planting principles as much as I can to help deter pests and disease as well. Which is why I use a new spreadsheet each year and save the last so I can review what I had and where in determining where things will go the following year. Because I don’t have enough natural light I use lights like these (no affiliation with Amazon). Their height adjustable so you can raise the lights as the seedlings grow. I use trays like this (no affiliation with Johnny’s), domes that cover the trays like this until the seedlings grow larger, Johnny’s 512 Mix soil, and either Seedling Starter Trays or Fertil Pots from Johnny’s. The NH Cooperative Extension has a guide for growing plants from seed and some Tips for Growing Great Seedlings at Home. It’s really important that you follow the hardening off directions in the NH Cooperative Extension guide for growing plants from seed, otherwise you may do a lot of work for plants that wilt and die once you get them in the ground, or suffer so much transplant shock that you never get anything from them. Here’s a nice guide on transplanting as well. You can also get plants from the nursery, but that gets really expensive for the number of plants I’m growing. I’m not an expert gardener by any means, but I hope this helps a bit if you’re thinking about starting to growing more of your own food. Of course, there’s no reason that you have to be this crazy to start, you can just start with a couple of tomato plants and see how you do.